#1 B2B Content Syndication Lead Generation Network. Achieve Lead Generation Success, with Content. Drive net new lead generation with the largest B2B lead generation network. 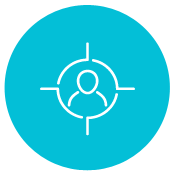 Identify and generate intent-based leads with AudienceTarget® Technology. Optimize your strategy with robust targeting capabilities, advanced reporting, and our team of demand experts. Syndicate content across the largest B2B lead generation network–reach professional decision makers actively researching business related topics. Set company and job specific filters to capture intent-based leads matching your campaign criteria. 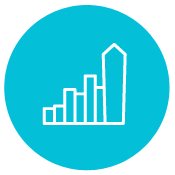 Access lead analysis reports and strategize with our dedicated team of experts to increase your campaign ROI. End to end process exceeds all vendors I work with. The quality of the leads is consistently excellent, resulting in great ROI—and happy management. NetLine is a must have investment quarter over quarter. NetLine's processes and technology are highly advanced, as a result our content and message always reach our target audience. That's why we've had such a successful partnership. I love the reporting capabilities of NetLine, especially the mid-campaign check-in and willingness to adjust strategies and targeting. Our content syndication program with NetLine has delivered high quality leads for our team and we're very happy with the results. I highly recommend working with them. NetLine has enabled us to reach specific verticals on a CPL basis that previously we could only reach with less efficient CPM-based programs. NetLine has made a huge difference getting our business in front of the right audience to drive warmer leads with prospects ready to learn more about our product. The filtering, targeting and great cost-per-lead provide us with an efficient channel to generate qualified leads from throughout the globe. see all customer success stories.